What is the Powder Coated Guardrail? 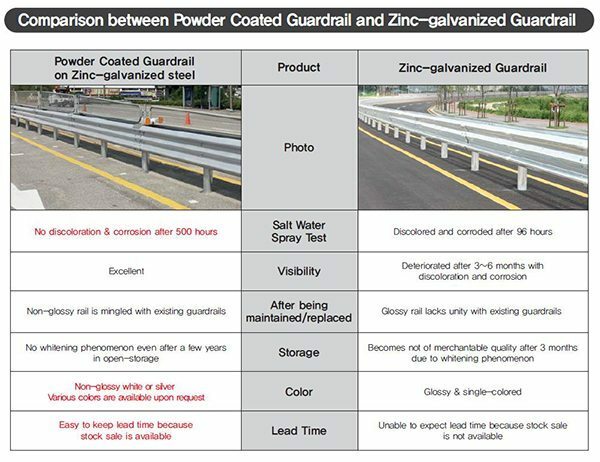 Ordinary zinc-galvanized guardrails normally begin to be corroded after 3~6 months from installation. Exhaust gas from cars and dust in the air make the guardrail polluted, that diminishes the visibility and accident preventing ability. However, Powder Coated Guardrail is corrosion-resistant and semi-permanent with powder coating over zinc-galvanized steel. It is also environmentally friendly product mixing well with surroundings in various colors such as white, green, silver, yellow and so on. 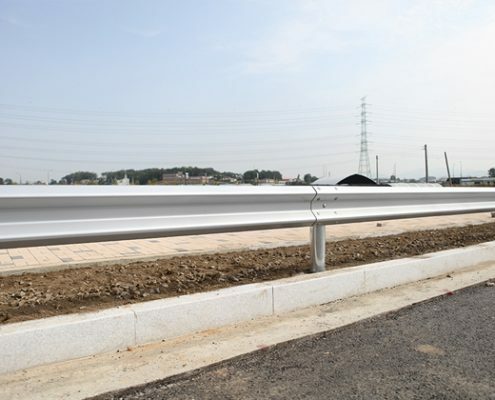 Shindo’s Powder Coated Guardrail is CE certified with a containment level of H1 after passing the crash tests in conformation with EN1317-2 standards. 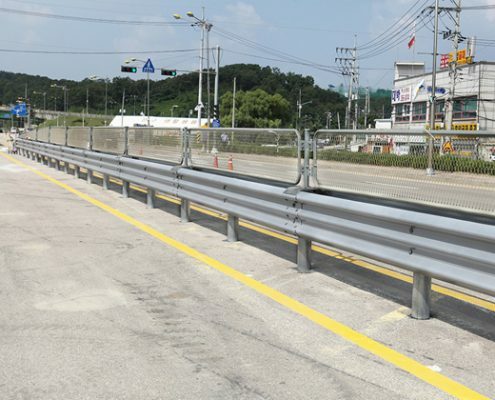 Powder Coated Guardrail is semi-permanent with no deterioration in hardness, which makes it more stable on crash impact, compared to ordinary guardrails. 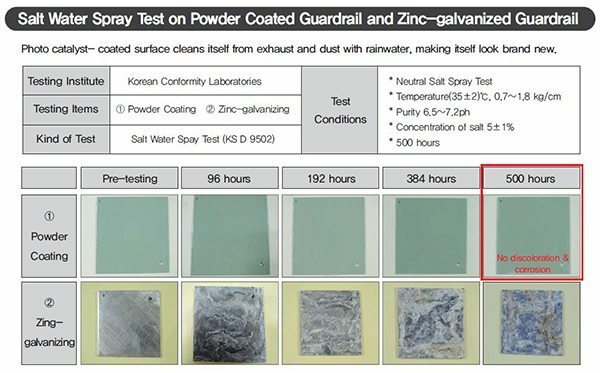 It maintains high level of cleanness itself owing to the powder coating, compared to ordinary zinc-galvanized guardrail. Shindo has achieved automation of manufacturing process (plating, forming and powder coating), which enables mass production and reduction in production costs.